wedding reception | Welcome to the World of Wonderful Weddings! Summer Wedding Season is Here – and so is the Heat! Beat the Summer Heat at your Wedding! Summer brings fun times, good food, and Wonderful Weddings! Even though the weather will bring days of high temperatures, heat, and our dearly abhorred friend – humidity, there are some great ways to ‘beat the Summer heat’ for your Wedding! There is the obvious alternative of hosting your Ceremony and Reception indoors. But, what about those of you who would like to commemorate your special day with an outdoor Wedding Ceremony and Reception? Providing your guests with fans or umbrellas would make a sensational addition to your beautiful ceremony! 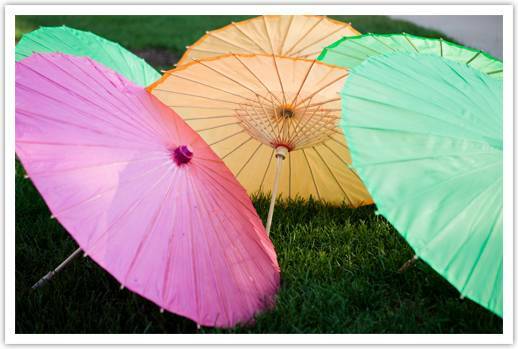 Just take a look at this amazing assortment of summer umbrellas! After your ceremony, you and your guests will be ready to cool off and enjoy cocktails and hors d’oeuvres before dinner. What summer cocktail hour would be complete without Sangria? Sangria is a very sweet combination of wine, fruit, and often a hint of brandy is added for that extra ‘punch.’ This delectable summer beverage is a favorite for those [adults] in attendance who want to enjoy a refreshing, fruity drink while socializing with other guests at your wedding. And don’t forget about the younger guests! There are some amazing ‘mock-tail’ ideas that may even have some of the older guests asking for samples! How about this delicious raspberry spritzer to cool things off? This summer sensation is made with fresh raspberries, seltzer water, and raspberry syrup. Add a sprig of mint, and this drink will be sure to get rave reviews! (*Of course, the adults may opt for a ‘splash’ of their favorite liquor to enhance the experience!) Either way, this delicious concoction will definitely be a crowd favorite! As the day winds down, and the time comes to enjoy your first meal as a couple, why not opt for an outdoor tented Dinner and Dance Reception? There are so many wonderful ways to incorporate the luxury and beauty of your Summer Wedding by hosting a tented Dinner and Dance Reception. Just take a look at this photo! 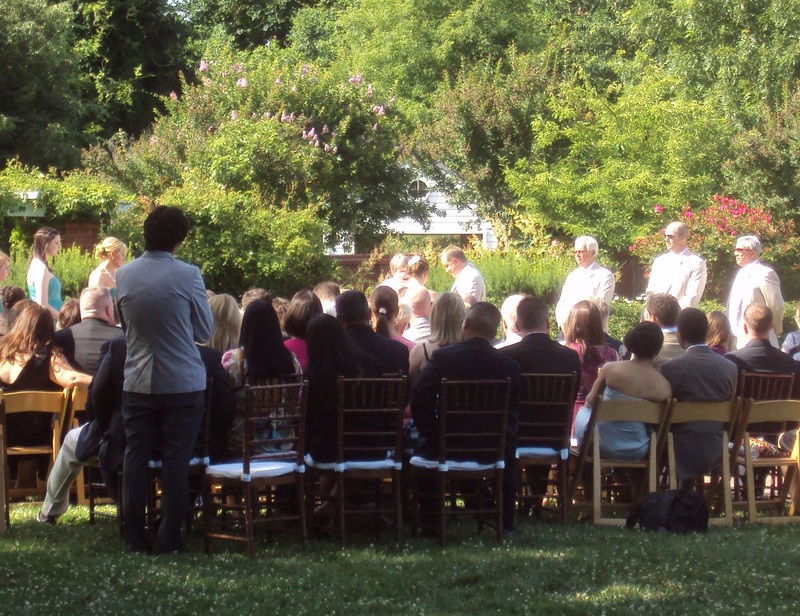 Your guests will be so happy that you chose to host your Wedding Ceremony and Reception outdoors. There are so many beautiful things about Summer that cannot be captured indoors, so why not be a part of it all? Your Wedding should be filled with beautiful memories! Like This Post? Let us know what you think! 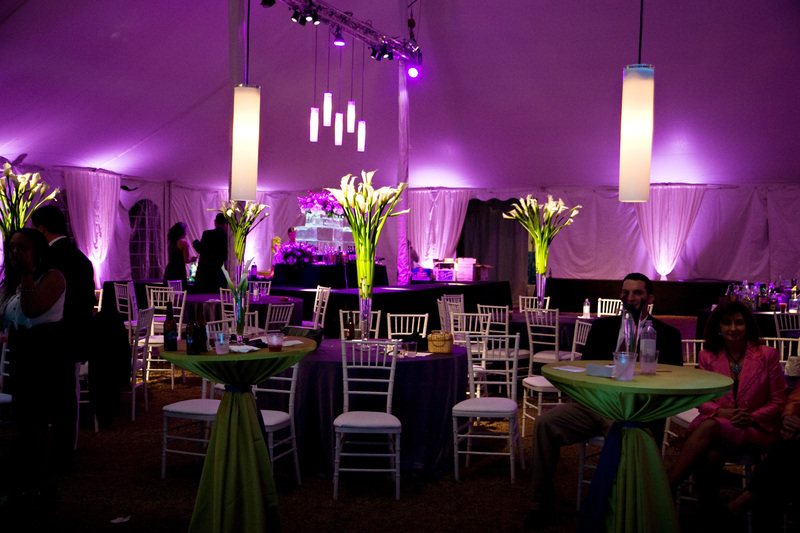 Contact The Davis Event Group today to speak with one of our entertainment consultants! Perfect Weather for a River Farm Wedding! Saturdays at the River Farm are always a special time, especially for those who are getting married there that day! Chris and Cidney chose to host their Wedding Ceremony and Wedding Reception at the River Farm, and I must say they made an excellent choice! 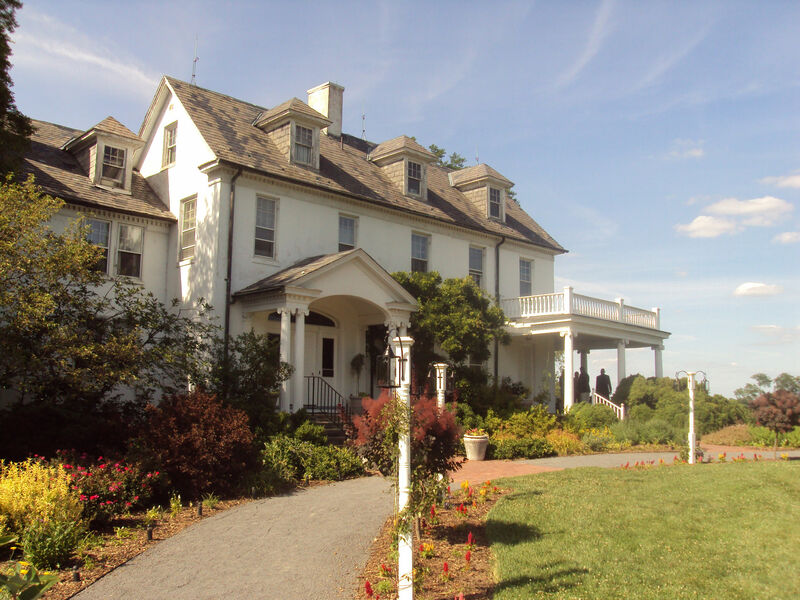 The River Farm is located outside of Old Town Alexandria and just a few miles south of our nation’s capital in Washington, D.C. Actually, the River Farm was once owned by President George Washington! What better way to celebrate your marriage than to commemorate your special day on a renowned historic property such as the River Farm! The weather was absolutely amazing, with blue skies, cool breezes, and zero humidity! All guests were captivated by the scenic beauty that is ever-present at the River Farm. Chris and Cidney exchanged vows at 4:30 in the afternoon, setting the tone for a joyous time with friends and family! Chris and Cidney exchanging Vows. How Beautiful! After a lovely dinner and cocktail reception, Chris, Cidney, and all their guests continued to enjoy their evening as DJ Jeremy kicked off dance time with popular favorites from Will Smith, Black Eyed Peas, and Maroon 5 – Moves Like Jagger! This wedding was certainly one to remember: Beautiful weather, delicious food, and of course, guests dancing the night away with good music!